GOOGLE BING EMAIL EXTRACTOR: It’s best email extractor software that capture email addresses, automatically, from Google Search and Bing Search results. GOOGLE MAPS EXTRACTOR: It’s the only tool able to scan Google Maps pages (without API) and extract business info like name, phone, fax, email addresses, and so on. 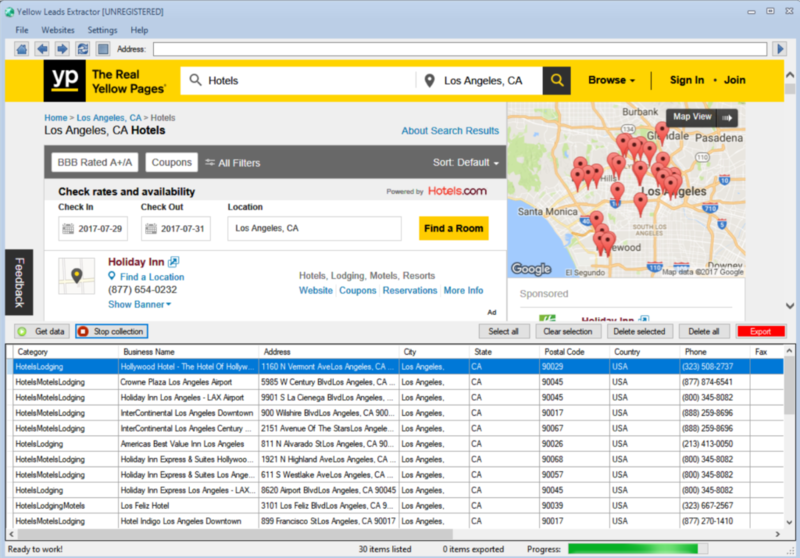 YELLOW LEADS EXTRACTOR: The software designed to extract data from Yellow Pages directory and YELP directory. It allows you to create unlimited list of potential clients. Below the detailed guide. 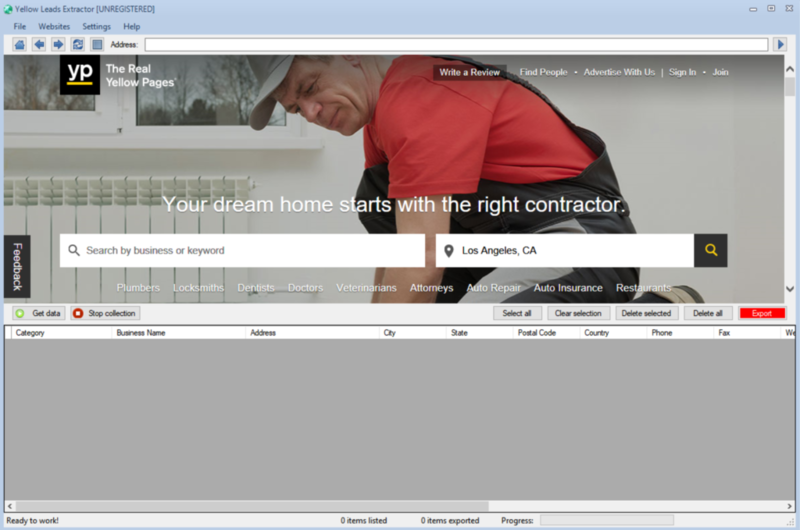 Step 2: Go to Business/Keyword and Category fields and enter the keywords for the search. Step 3: Go to Enter Location and enter the location that you want to search and then press the “Search” button to got some results. Step 4: Now click on GET DATA button to see the exported results below the software. Step 6: Now, you can export data clicking on EXPORT button. The data will be saved in a CSV file format or to Excel. Go to Settings menu to choose your preferred output file format. After the order you will receive an email with the registration code and you will be able to activate the software. 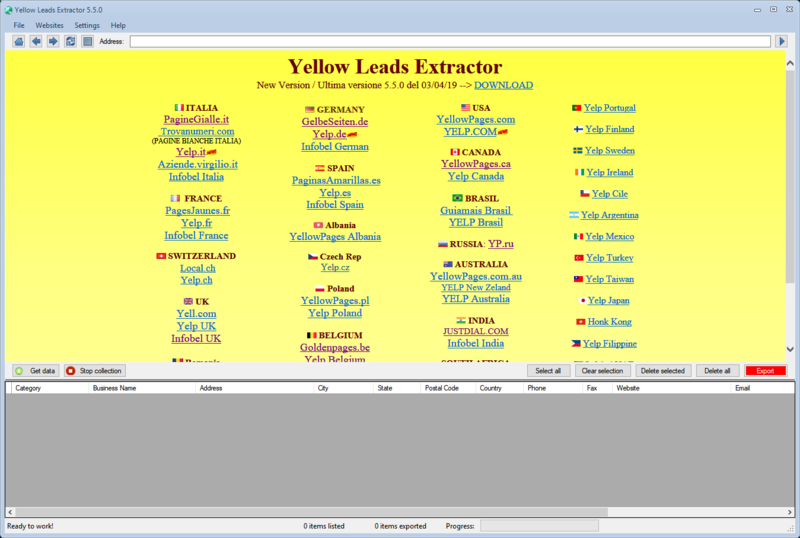 What are the sources supported by Yellow Leads Extractor?